Wellness for Life Chiropractic | Dr. David Lim, D.C.
Dr. David Lim is the co-founder and director of Wellness for Life Chiropractic Ptd. Ltd., the leader in natural health and wellness in Singapore since 2007. Dr. Lim graduated with honors from Palmer College of Chiropractic in Davenport, Iowa, USA, in the year 2000. Dr. Lim has comprehensive knowledge in creating and sustaining corrective and wellness-based Chiropractic clinics in the US (Detroit, Michigan) as well as South East Asia (Kuala Lumpur and Johor Bahru, Malaysia and Singapore). Dr. Lim has dedicated himself to helping the people of Singapore to improve their health naturally through Chiropractic and to educate as many people as he can to help people achieve their optimal health potential. He is renowned to be the best Chiropractor in Singapore by individuals whom he has helped. He is also a well sought-after speaker on Ergonomics and Posture for companies and schools. Dr. Marc Wong, the co-founder and director of Wellness for Life Chiropractic Ptd. Ltd., obtained his Masters of Chiropractic Science at Macquarie University, Sydney Australia. Dr. Marc Wong is a Malaysian by nationality but has spent a total of 10 years studying in Singapore since primary school. 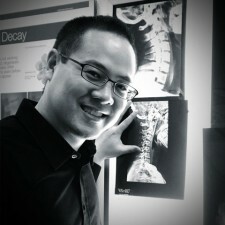 Since 2007, he has worked in one of the most successful and busiest Chiropractic center (WfLC) in Singapore, helping to educate the community of the importance of their spinal health and nervous system with deep-seeded passion to help them be healthier and to be free of dis-ease and disease. He is concerned about how the young children in Singapore do not get much education on how to take care of their own spines. He has held seminars in many organizations in Singapore such as the MOE, NEA, Singapore technology and many schools. 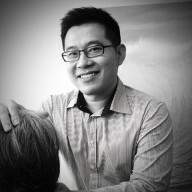 He is the most notable and trusted Chiropractor within the Chinese-speaking community in Singapore. He is also a regular guest speaker at MediaCorp Radio Love 97.2FM on pain and healthy lifestyle management. Enter the sum of 10 + 12	below to prove you are a human.